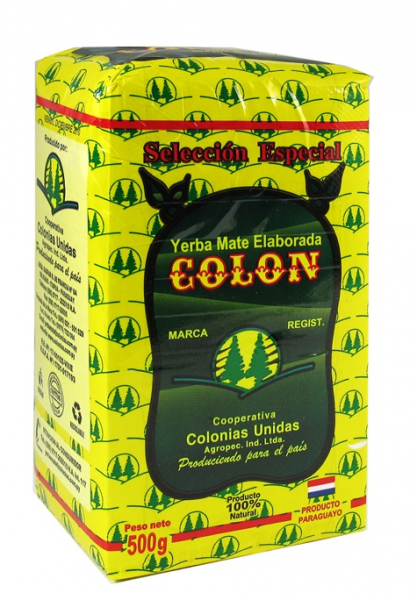 The yerba mate Colon was produced in the Farming Cooperative of Obligado (Itapúa, Paraguay). This cooperative was founded on the 8th of March 1953 by farmers of Colonia Obligado, Colonia Hohenau and Colonia Belle Vista. The yerba mate Colón Selección was made out of raw yerba and it was about 2.5 years stored.It has high leave content and it tastes soft and at the same time lasting.